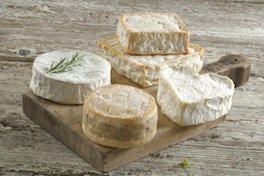 La Bucaille is located in the countryside within easy walking or cycling of La Haye du Puits (1.5 miles), which has a host of shops and restaurants and plenty of bakeries. 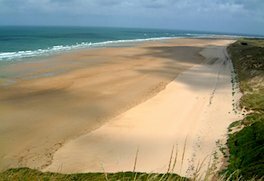 The many sandy Atlantic beaches are a short drive, the nearest being only five miles away at Bretteville-Sur-Ay. (pictured above) One of Normandy’s most recognisable landmarks, Mont Saint-Michel and its bay are part of the UNESCO list of World Heritage Sites. This rocky tidal island is France’s second most popular place to visit after Paris. A beautiful town with its famous tapestry (1066) that is nearly 70 metres long, which depicts the events leading up to the Norman conquest of England. 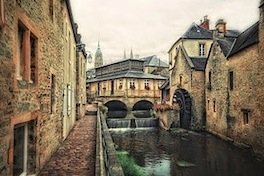 Stroll through the old town of Bayeux with many individual shops and timber-framed houses. 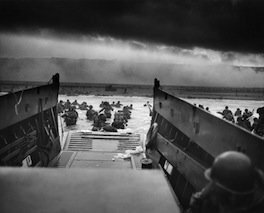 Two of the famous Normandie landing beaches, Omaha and Utah also with many museums are approximately 35-45 minutes drive away. 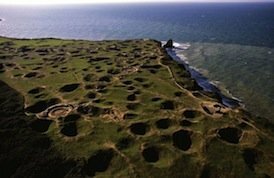 Re -live the exceptional exploits of the 2nd Battalion of the US Rangers at Pointe du Hoc. Tourism in Sainte-Mère-Église today centres on its role in the D-Day invasion. There are many small museums (such as the Airborne Museum) and World War II-related giftshops and eating places. A dummy paratrooper hangs from the church spire, commemorating the story of John Steele. Saint-Malo during the Middle Ages was a fortified island at the mouth of the Rance River. 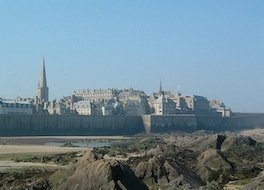 Now inseparably attached to the mainland, Saint-Malo is the most visited place in Brittany. Wander through the old walled city with its old port, many restaurants, cafés and bars along the seafront. The old town of Granville preserves all the history of its military and religious past. The lower town was partly built on land reclaimed from the sea. The upper part of the old town is surrounded by ramparts from the fifteenth century. Traditionally a centre of metalwork making brass and copperware. Visit its bell foundry, fonderie de cloches, browse the many shops of brass and copperware. Granite architecture and cobbled passageways a lovely place to visit with its regular market held here on Tuesdays. 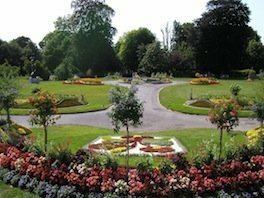 One of the oldest towns in Normandy with its beautiful botanical gardens showing a panoramic view of the bay. 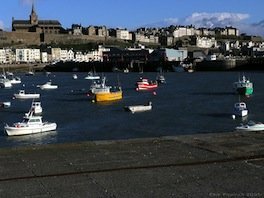 The town was founded on high ground overlooking the dunes and coastal marshes along the bay forming the corner between the peninsulas of the Cotentin and Brittany. From Avranches, it is possible to see the Mont Saint-Michel. 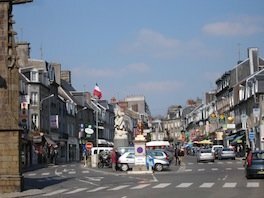 The City of Coutances is the location of Jazz sous les pommiers (Jazz under the apple trees), a yearly recurring international jazz festival that has been held since 1982. The festival traditionally takes place during the week of Ascension. 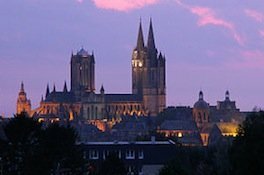 Coutances Cathedral is one of the major buildings of Norman architecture and has wonderful stained glass windows. 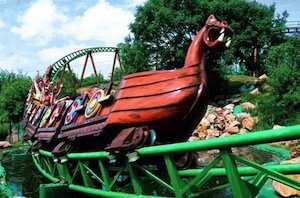 For the children there is also a good day’s entertainment at Villedieu zoo, Festyland Theme Park outside of Caen and Forest Adventure only 20 minutes away at St-Sauveur-le-Vicomte, and of course the endless beaches on our doorstep. 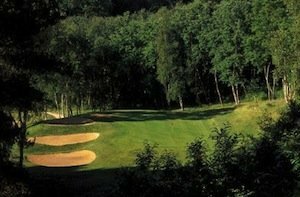 For those of you who enjoy golf, Normandie was voted as one of the top ten destinations in the world in 2001 for golf, and we are lucky to have a very good selection of courses very nearby. 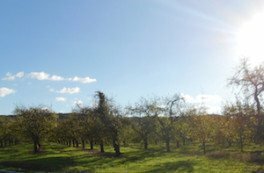 Normandy is a major cider-producing region (very little wine is produced). Perry is also produced, but in less significant quantities. Apple brandy, of which the most famous variety is calvados, is also popular. The mealtime trou normand, or Norman break, is a pause between meal courses in which diners partake of a glassful of calvados, and is still observed in many homes and restaurants. Pommeau is an apéritif produced by blending unfermented cider and apple brandy. Another aperitif is the kir normand, a measure of crème de cassis topped up with cider.